The year really started off with some blasts from the past. First the Aspire Nautilus 2S and now a re-imaged Kayfun Lite. Many vapers were introduced into high end, high quality atomizers with the early Kayfun series. 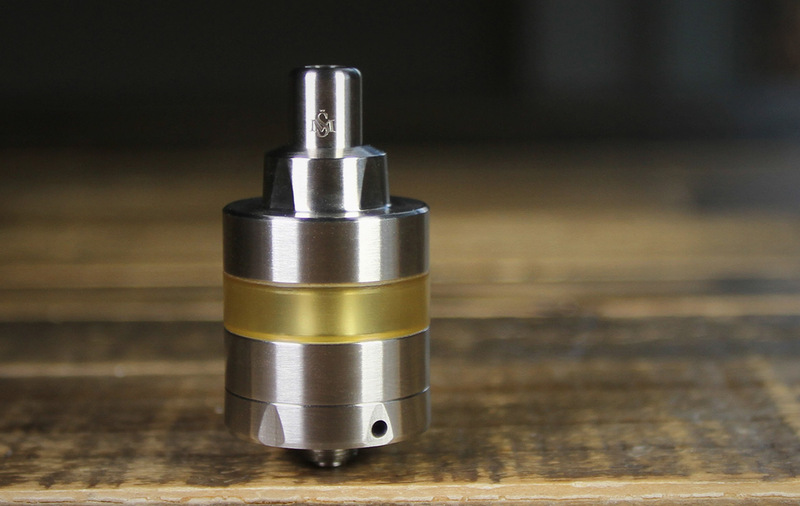 The new Kayfun [Lite] is the best of all design elements from the past few iterations with maybe one or two little niggles. Visually this is one stunning, very industrial looking atty. It’s super short (33mm) and has the famous Kayfun aesthetic. But for once the lack of height is awesome. There is one major tradeoff for this height savings, this is an old school bottom fill. Based on the performance it’s worth it, but it can get a little messy and we have encountered trouble more than once getting the bottom deck section to separated from the tank section for a refilling. We have even had the inner deck unscrew from the bottom section once or twice. With use, lubrication, and practice you can get the hang of it. The AFC is improved over the original but still a little old school, a nylon screw inside the 510 controls the amount of flow. So you need a screwdriver and set it and forget it and hope you don’t want to change on the road with out the needed tools (again liveable). Both of these design elements are definitely what has allowed for the compact design. Inside we have a smaller version of the V5 kayfun deck. It’s great, traps lead awesome, and is easy to set you wick leads into the same style wicking channels. Like we said, the [Lite] has all lot of the best advancement of SvoëMesto has developed over the last several years. Flavour is outstanding. The wicking method keeps the coil super saturated and the tiny conical chimney delivers a dense and intense vape. Again no surprise from a company like SvoëMesto. Airflow for us is pretty perfect fully open, there is a nice restriction and back pressure that creates an awesome MTL experience. It’s quiet and silky smooth. One draw back we have noticed is on refill, you can get a little gurgle for a couple hauls on a new tank. Building is pretty much a cake walk, there is a nice size screw head, the same great catch hooks as the V5. Setting a coil is easy and a nice 3mm coil does well. We have played with several different resistances, with simple and complex coils. And we are happy to report a killer vape with a simple 0.5 Ohm build at around 18W does the trick. Juice capacity can very based on which variant you select, we opted for the 24 mm over the 22 and it comes stock with a 3.5 ml capacity. But there are some great accessory tank options that don’t only look dope, but can increase capacity to 5 ml. All accessories come in amber(Fire) PEI or clear(Ice) PMMA, personally we wish the [Lite] came with the clear over the amber tank sections. The Kayfun [Lite] is definitely another legend in the making. There are a couple shortcoming but the performance far out ways them. Wether this is your first rebuildable, your first dive into a true MTL RTA, or just another addition to your collection this is a must own. You will find it hard to find a better, more consistent vape than with a SvoëMesto Kayfun [lite].